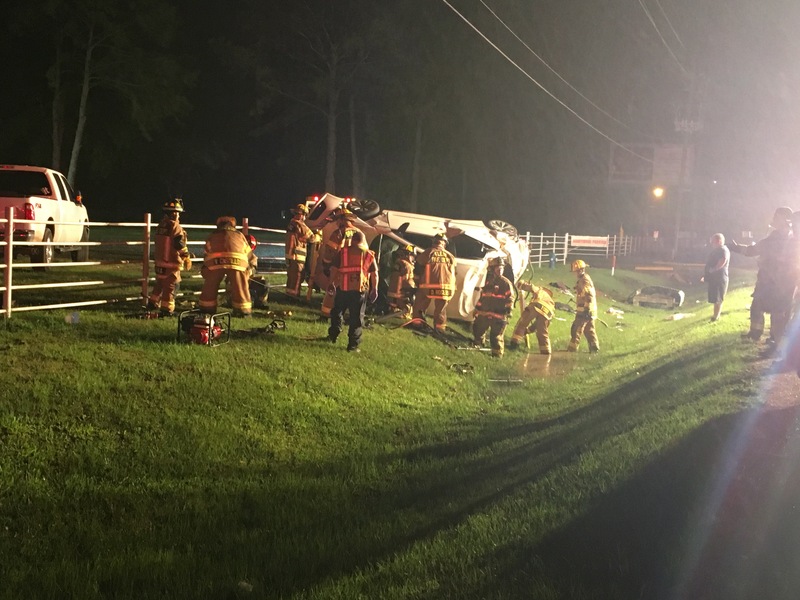 Spring, Texas – April 30th, 2016: At approximately 2:00am Saturday morning, the Spring Fire Department responded to the 19900 block of Kuykendahl Road in reference to an accident with person(s) trapped. Crews arrived on the scene and found a vehicle on its side, in the ditch, with two people trapped inside. Firefighters with the Spring Fire Department worked in the pouring down rain to free the couple from the crashed vehicle. Officials tell us the female was transported in urgent condition to a local hospital with lacerations to her face and missing teeth. The male was transported in stable condition. Officials tell us that the wet roads may have been a leading cause in the accident. No updates have been received on the patients conditions.